Have Russian arms exports peaked? After a decade characterised by growth, Rosoboronexpert now faces a challenge to find new markets. Despite a growing global arms market, Russia's sales have reached a ceiling. In the near future, Russian defense products sellers will focus on finding new prospective partners to maintain high sales rates achieved during the last 10 years. Russian exports of arms and equipment increased every year during the last decade, achieving four-fold growth. However, the management of Rosoboronexport, Russia's main corporation supplying weapons to other countries, believes that this year will witness the upper limit in Russian exports. Under the new development strategy of the corporation, which runs until 2020, the arms exports from 2013 to 2016 will remain at a level of about $13 billion a year. According to estimates, in 2013 Russian exports of helicopters will increase by 20 percent, while exports of air-defense facilities will increase by 30 percent. Rosoboronexport said it will move from the “offensive” to the “defensive” stance in the next three years on the world market. “We monitor all the markets, study the needs in weapons, helicopters, airplanes, and armored vehicles in various countries, and understand their development trends," said Vyacheslav Davydenko, a spokesperson for Rosoboronexport. The corporation intends to increase its participation in international cooperation in the development, production and sales of military products. To do this, it is planning to provide the main organizations, within the orbit of Rosoboronexport, with the right to provide direct after-sales servicing of military equipment supplied to foreign customers. In addition, the corporation’s plans include “the strengthening of ties with defense companies, including the intensification of research and development work on the creation of new types of weapons, and the elaboration on programs for the modernization and utilization of weapons supplied earlier,” Isaykin said. However, Russian experts are skeptical about the possibility of entering new export markets. There are many markets in Africa, however, "there we have demand, but no money,” said Alexander Khramchikhin, the head of the analytics department at the Institute of Political and Military Analysis. He said that it is impossible to increase exports via the expansion of services and proposals in the next three years – this is a prospect that will take a decade. “No one can ever guarantee that arms exports will grow, because the market is highly competitive, and new suppliers come into it all the time,” he said. In this case, it would be wise to rely on the developed and traditional programs, for example, Indian and Vietnamese. “India has big claims as to the quality of our products, although it is our main customer. Vietnam is our relatively constant and big customer, and I do not see any problems in this market. However, all the others are buying much smaller volumes of our military products now,” said Khramchikhin. He adds that, in his opinion, Venezuela will soon become uncompetitive, because a financial collapse and a change of power may happen there, and Algeria has already bought so much that it needs no more. “I would not say that we have restored our former relations with China. Since 2007, the volume of Russian arms supplies to the country has dropped significantly. And our exports will never recover to their former levels,” he said. Meanwhile, according to international estimates, the main buyers of foreign military products are eastern countries. And Russia has started paying increased attention to the Asia-Pacific region recently. “A number of Russian developments have no analogues in the world and, for example, an ultra-modern fourth-generation fighter, the Su-35, acts in this capacity. 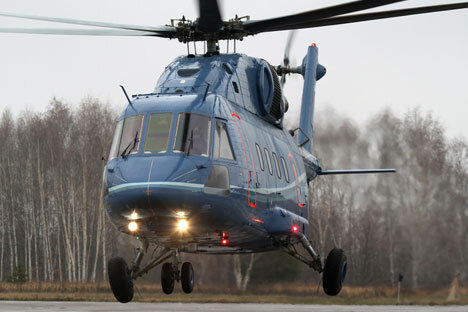 It is also planned to supply other countries with new types of helicopters soon – the Mi-17, Mi-38 and Ka-62,” said Ivan Andriyevsky, the first vice president of the all-Russia public organization Russian Engineering Union. Thus, the interaction of political aspirations and military and technical programs in this area, supported by specific developments may stimulate a further increase of the export potential of Russian weapons.